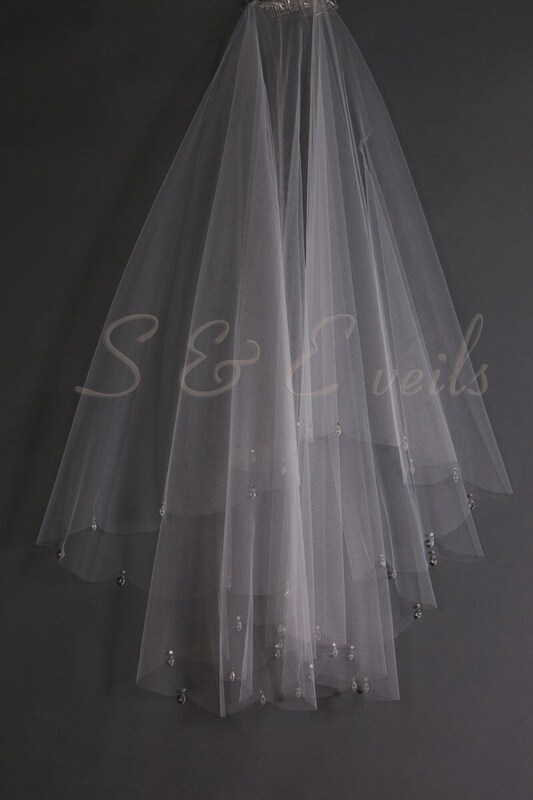 This Drop veil style is 2 layers, 72" wide and made to your desired length. 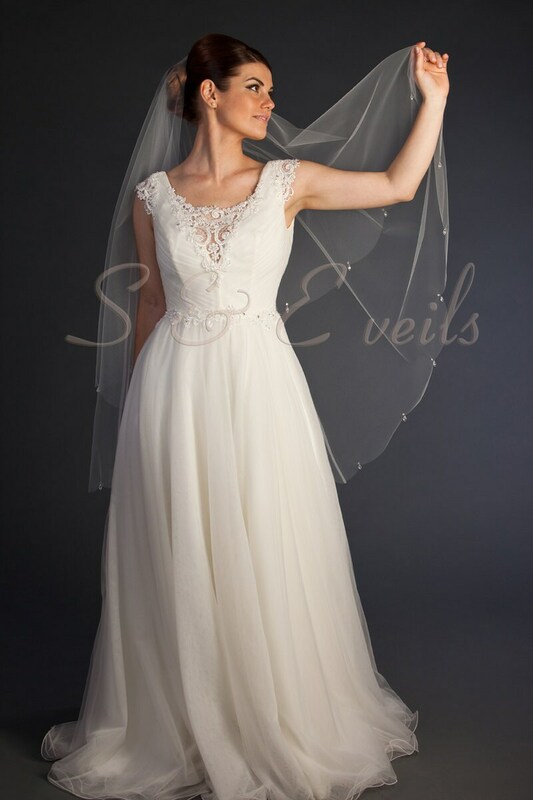 Also, there is no gathering at the top and the veil is sewn to the comb for a secure fit. 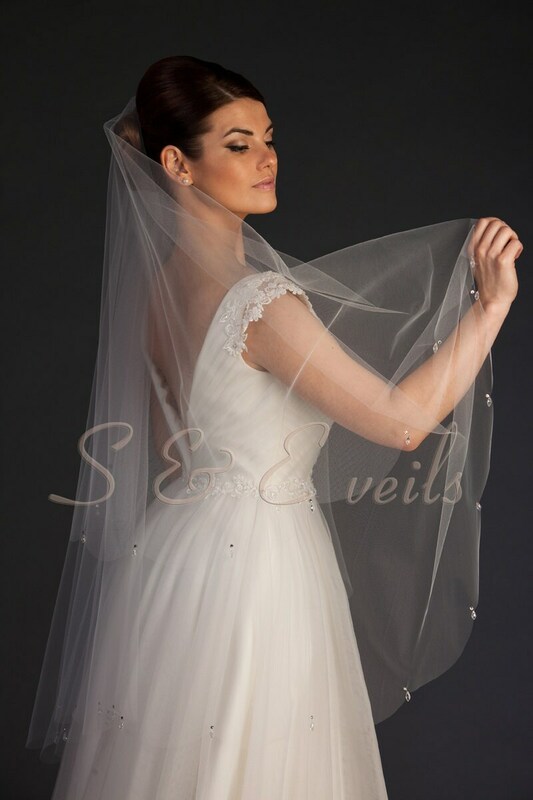 (The model shown here is wearing 42" length veil and 25" blusher). 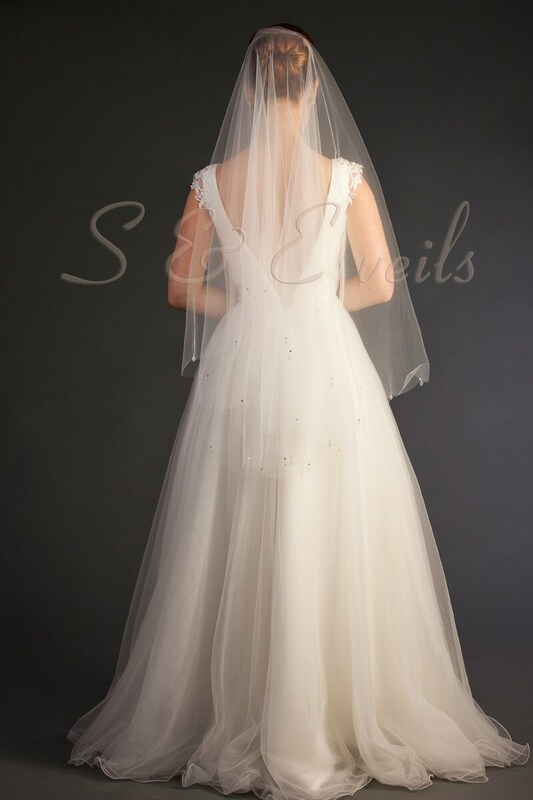 I love the veil, it is beautiful! Two of the crystals on the edge fell off druing shipping but, they were right in the box so I will be able to make the minor fix myself before the wedding. Over all I am happy with my purchase!